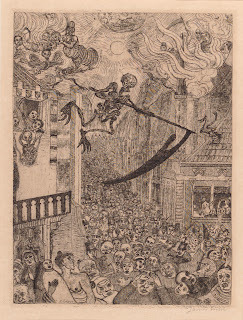 With Halloween fast approaching I thought I would share with you one of my favourite spooky images from the Cecil Higgins collection, ‘La Mort Poursuivant le Troupeau des Humains’ or ‘Death Pursuing the Herd of Humanity’ by the Belgian artist James Ensor (1860-1949). 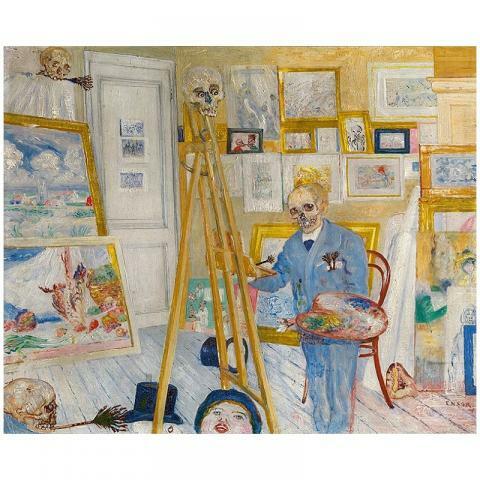 Ensor's work contains carnival masks, puppetry and skeletons which were probably influenced by his family’s souvenir and curiosity shop in the seaside town of Ostend. 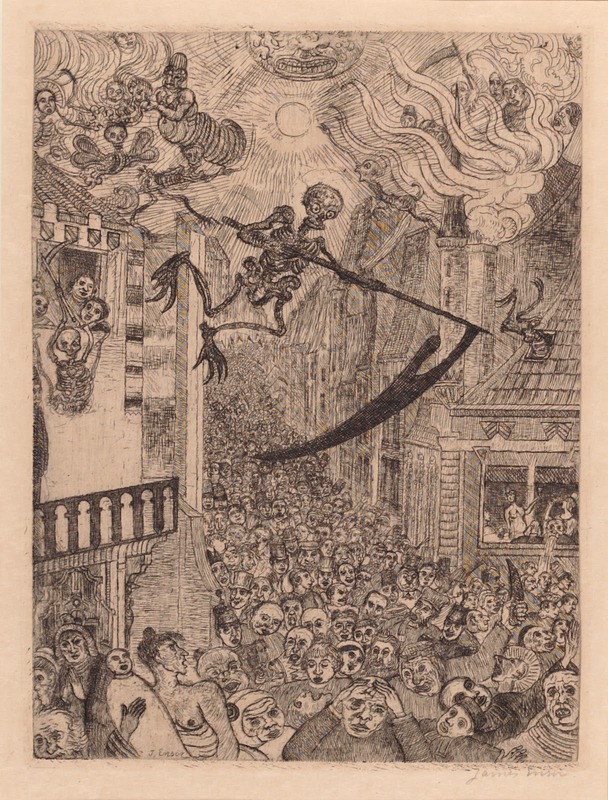 ‘My childhood was filled with marvellous dreams and frequent visits to my grandmothers shop, with its iridescent glow from the reflections of the shells, sumptuous lace, strange stuffed animals and terrible savage weapons that terrified me’. 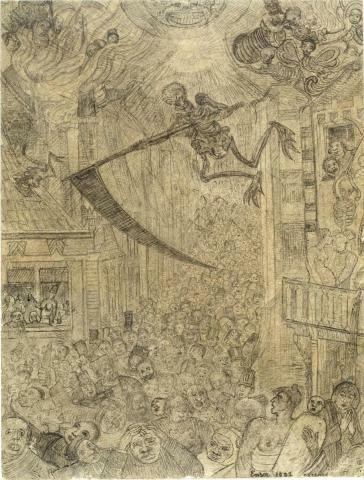 The flying web footed skeleton brandishing a bladed scythe, terrorising the hoard below is one of Ensor’s more gruesome images of skeletons. 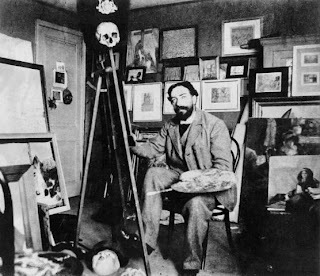 They could also be reminders of mortality in the same way as memento mori jewellery or the 17th century ‘Vanitas’ still life paintings of Northern Europe. He would even paint himself as a skeleton as seen in 'Skeleton Artist in his Studio', 1896. However, what is far scarier than Ensor’s print is the thought that the drawing that it is based on, in the Royal Museum of Fine Arts in Antwerp, is still missing after being stolen from an exhibition in the The Hague in June. Now that's the stuff of curators nightmares! ﻿If you want to find out more about Ensor and see other works by him there is a great online museum that you can visit.